Surveillance systems have become commonplace in almost all Houston area businesses. The choices made when selecting any technology can be overwhelming. An integrated security system specifically designed to meet your requirements and budget will prove to be a valuable investment. It will provide intelligence on how to run a successful company as well as resolve questionable or unlawful activity. 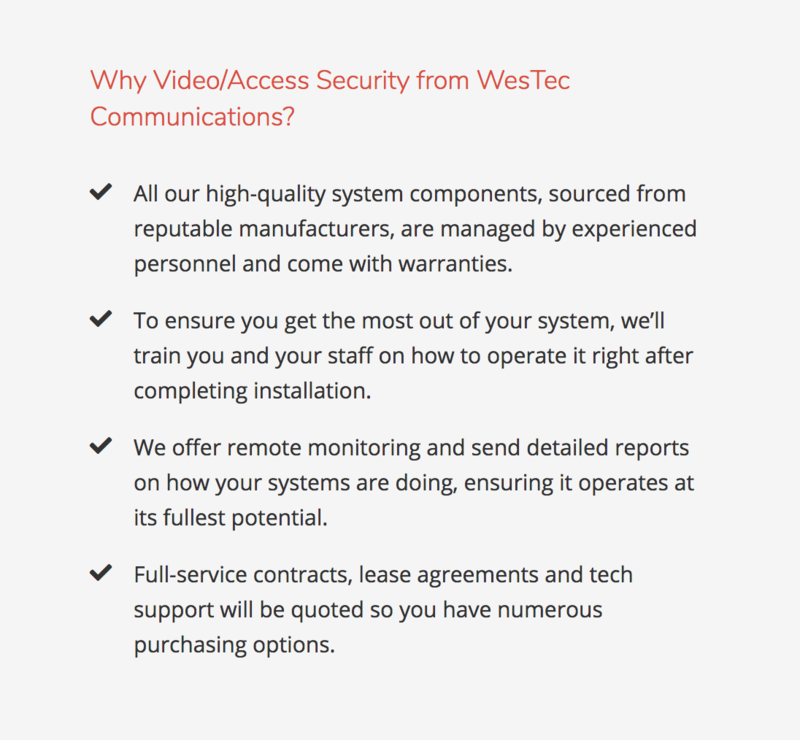 Why Video/Access Security from WesTec Communications? All our high-quality system components, sourced from reputable manufacturers, are managed by experienced personnel and come with warranties. To ensure you get the most out of your system, we’ll train you and your staff on how to operate it right after completing installation. We offer remote monitoring and send detailed reports on how your systems are doing, ensuring it operates at its fullest potential. Full-service contracts, lease agreements and tech support will be quoted so you have numerous purchasing options.